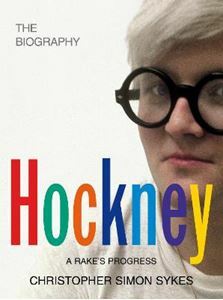 Quick overview David Hockney's career has spanned and epitomised the art movements over the years. With access to interviews, family and friends and Hockney's own notebooks and paintings, this volume delivers a revelatory account of the man who many believe to be Britain's greatest artist. In this astounding first volume, Christopher Sykes explores the fascinating world of the most popular living artist in the world today. David Hockney's career has spanned and epitomised the art movements of the last five decades. His story is one of precocious achievement at Bradford Art College, the Swinging 60s in London where he befriended many of the iconic cultural figures of the generation, to California and the cool of the swimming pool series of paintings, through the acclaimed set designs for countless operas around the world and major retrospective exhibitions. With unprecedented access to interviews, family and friends and Hockney's own notebooks and paintings, this volume will deliver an honest and revelatory account of the man who many believe to be Britain's greatest living artist.